What Can You Do with a Huawei Ascend Mate 2? 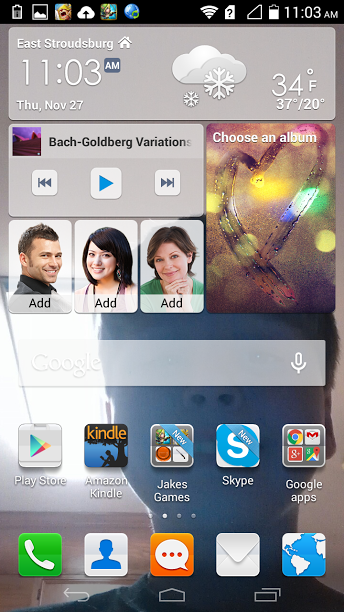 What can you do with a Huawei Ascend Mate 2? Well, with 60 hours of fun on a single charge, a whole lot, that’s what! I received the Huawei Ascend Mate 2 for review and let me tell you, it’s certainly been making its rounds in our house! Before we get into all the fun things we’ve been using it for, let’s run down the basics, shall we? I’ll be honest, before I got the invite for this opportunity, I hadn’t heard of the Huawei. Now that I’ve had the chance to try it, though, I want everyone to know about it! What is the Huawei Ascend Mate 2? 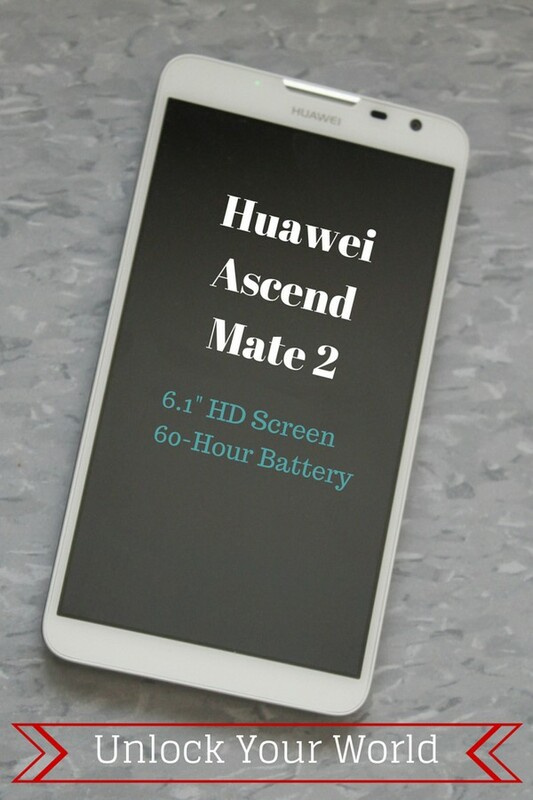 The Huawei Ascend Mate 2 is a fantastic smart phone that boasts the largest screen (6.1″ HD) and longest battery life (60 hours on a single charge). On top of that, it has a 13MP camera, 4G LTE AND comes unlocked. No contract, no fees for changing carriers. You choose your network. Now, I’m pretty tech savvy, so the first part means a lot to me, especially the long battery life. I’m NOT cell-phone company savvy, though, so that second part means even MORE to me. Why? Because I don’t have to worry about whether my phone will work with this company or that. Just what can you do with the Huawei Ascend Mate 2? Now for the good stuff! What can you do with you Huawei Ascend Mate 2? Pretty much anything your precious little heart desires! We have three very different needs in my household. My mom lives with me and she’s been dying for a tablet. She has a smaller smartphone and a PC, but nothing really in between. The Huawei Ascend Mate 2 is smaller than a tablet, yes, but with 6.1″ of screen real estate (as my grandfather used to call it), it’s actually working out perfect for her. My son is all about gaming. He also spends a lot of time on Skype with his friends while they play online. In the past, he’d use his tablet attached to an extension cord on the charger so he could keep talking. With the Huawei Ascend Mate 2, he doesn’t have to worry about tripping over cords. He just sets it in front of him and chats while he plays. Jacob is also a huge YouTube fan. He watches videos to teach himself how to do different things in his games. He also loves to watch bizarre music videos on YouTube (what on earth is DubStep and what happened to good old-fashioned punk rock music?). As for me, well, I am all over the place on my devices. One minute I’m on social media, the next I’m playing a game for a few minutes of relaxation. 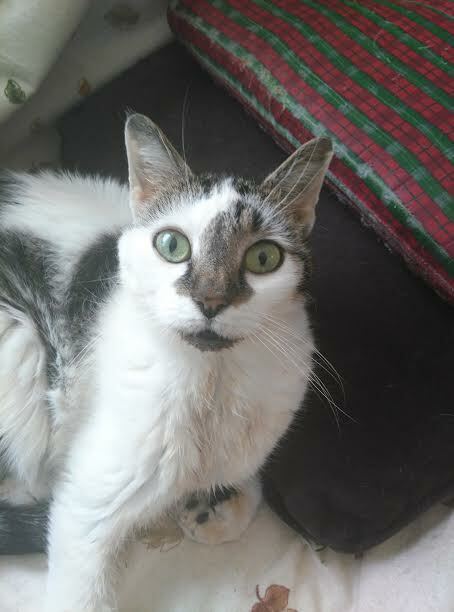 I also like to sit on the couch and shop, do research for posts, read books or just look at cute cat pictures (or take my own!). Prue, waiting for Thanksgiving dinner. Taken with the Huawei Ascend Mate 2. With the 60-hour battery life on the Huawei Ascend Mate 2, I was able to share my device with my mom and my son without worrying about it being out of power when I needed it. In fact, I can count the number of times I’ve put it back on the charger since I’ve gotten it on one hand. I don’t even need to use my thumb! Seriously, the battery lasts THAT long. Unlock the possibilities with Huawei. With the largest screen, and longest battery life, where will you go with Huawei. Visit GetHuawei.com to learn more and unlock your possibilities! What would you do with 60 hours of battery life and such a large, vivid screen? This is a sponsored conversation written by me on behalf of Huawei Device USA. The opinions and text are all mine. Not savvy with cell phones either, but this brand is pretty reliable. My mother had one and it functioned pretty well comparable to other well known smartphones on the market. Huawei makes a very solid phone. However, this model is a little too big for my pocket. need virtually any agario crack to be the finest on this video game.